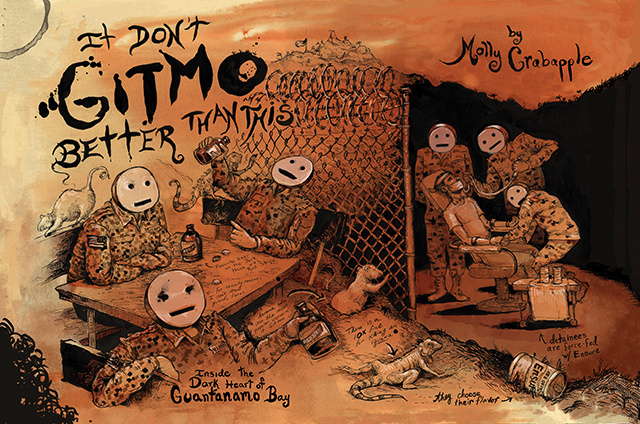 Artist Molly Crabapple joins the show to talk about writing her new memoir, Drawing Blood (Harper), making illustrated journalism from Syria, Guantanamo and Abu Dhabi, translating Nizar Qabbani, growing into her parents’ legacy of art, Marxism and argumentation, finding her soul in the Damascus Room at the Met, balancing community and competition, stepping back from the idea that we’re in an “Age of Outrage” and more! Give it a listen! 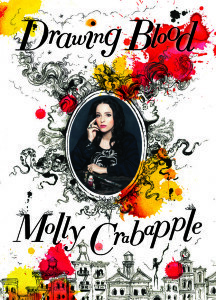 Molly Crabapple is an artist and writer in New York. She is a contributing editor for VICE, and has written for The New York Times, Paris Review, and the Guardian, among other publications. Her work is in the permanent collection of the Museum of Modern Art. Follow her on Twitter and Tumblr. Credits: This episode’s music is Nothing’s Gonna Bring Me Down by David Baerwald, used with permission of the artist. The conversation was recorded at Ms. Crabapple’s studio on a pair of Blue enCORE 200 microphones feeding into a Zoom H5 digital recorder. I recorded the intro and outro on a Blue Yeti USB Microphone . Processing was done in Audacity and Logic Pro. Photos of Ms. Crabapple by me.